The Eric Gill Series from Monotype is an unprecedented suite of typefaces. It takes classic typefaces from Eric Gill and reimagines them for the 21st century. Digital imaging technologies and the communication needs of today’s graphic communicators were at the forefront of the development of these typefaces. The Eric Gill Series' new designs benefit from with a wide range of weights, alternate characters and extended language support. 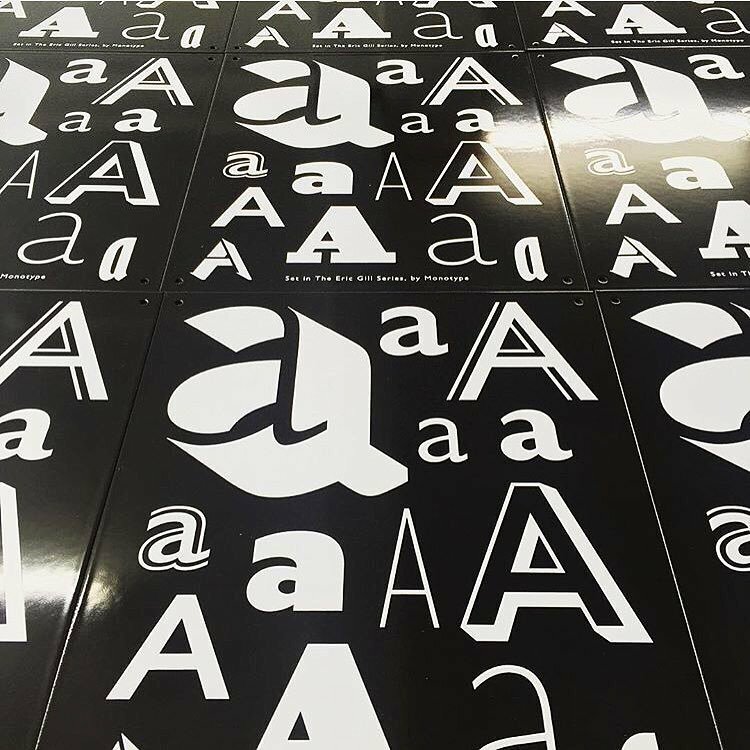 The project required intensive research, refinement and collaboration of four Monotype designers – Steve Matteson, George Ryan, Ben Jones, and Terrance Weinzierl – working in harmony across different continents. No, we are not kidding there are 18 (count'em) 18 styles! The Gill Sans Nova is part of Monotype’s revived and reimaged Eric Gill Series based on the work of the master type designer. This is an unprecedented development from Monotype. In recent years, Monotype has released and revived many type families, but this series of three families demanded a new approach. These are contemporary digital typefaces – with a wide range of weights, alternate characters and extended language support – that pay homage to Gill’s original designs. The project required intensive research, refinement and collaboration by four designers working across different continents. The Joanna Nova typeface is much more than a simple revival of Eric Gill’s slab serif Joanna. While based on the earlier family, Joanna Nova is a reimagined version that takes the design into the 21st century. The design is still, as Gill himself described it, "a book face free from all fancy business," but it has been given new life with many subtle – and a few not so subtle – changes to make it more reader friendly, and to vastly expand its range of use. In addition to the family’s 9 weights, each with a companion italic, Joanna Nova benefits from a large character complement that provides for the setting of Greek, Cyrillic and most Eastern and Western European languages. The Joanna Sans Nova typeface family has roots in Eric Gill’s original hand-set slab serif fonts – but is a thoroughly modern design ideally suited to digital imaging. The eight weights and complementary italic designs were drawn to maintain high levels of legibility, even at text sizes on the small screens of tablets and e-readers. Joanna Sans Nova is much more than Joanna without serifs. And, although it has a strong presence of Eric Gill’s sans serif, it stands on its own as a versatile and remarkably handsome design. In fact, Joanna Sans Nova has already proven its mettle as one of Monotype’s eText typeface families. An artist whose legacy is marred by troubling contradictions of character, Eric Gill still remains one of the most important type designers of the 20th century. He was one of Britain’s most prolific typeface designers and responsible for some of Monotype’s most influential and seminal typefaces.
. . . and all-around creative renaissance man! Eric Gill -- remains one of the most important type designers of the 20th century.